If you are travelling from Norwich, then take the A140 towards Cromer, turn left onto the A149, then at the mini-roundabout continue forward onto the A149. Then bear left onto the A148 (signposted King's Lynn). You will see the Roman Camp Inn on your left after the petrol station. The journey takes around 30-40 minutes. If you are travelling from The North, on the A148, then continue towards Cromer. 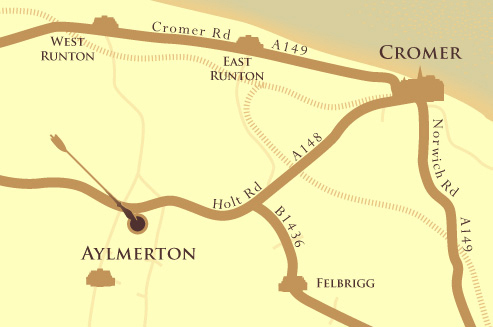 Before you arrive in Cromer we will be on your right, just before the petrol station.